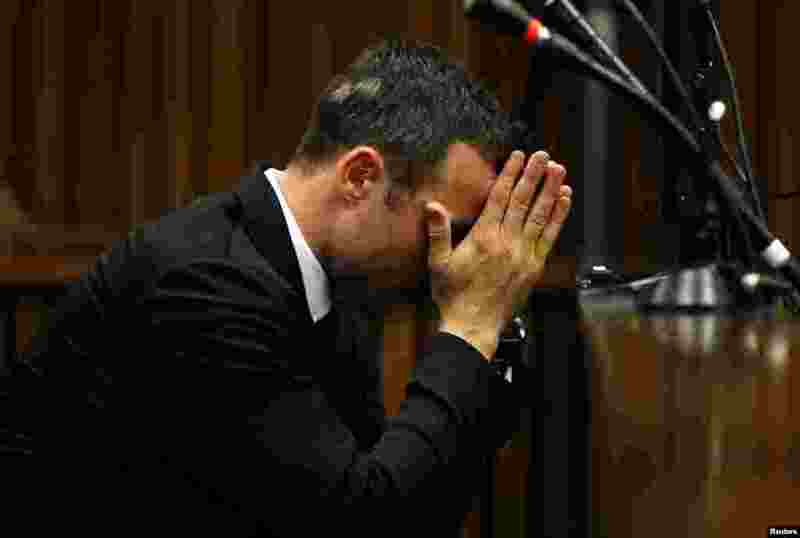 1 Oscar Pistorius reacts in the dock ahead of his trial for the murder of his girlfriend Reeva Steenkamp, at the North Gauteng High Court in Pretoria, March 5, 2014. 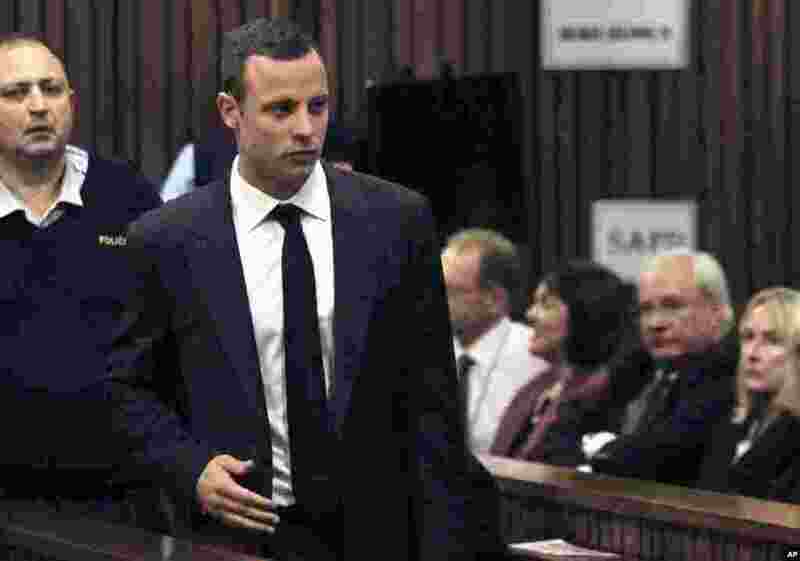 2 Oscar Pistorius arrives at court for the third day of his trial for the murder of his girlfriend Reeva Steenkamp at the North Gauteng High Court in Pretoria, March 5, 2014. 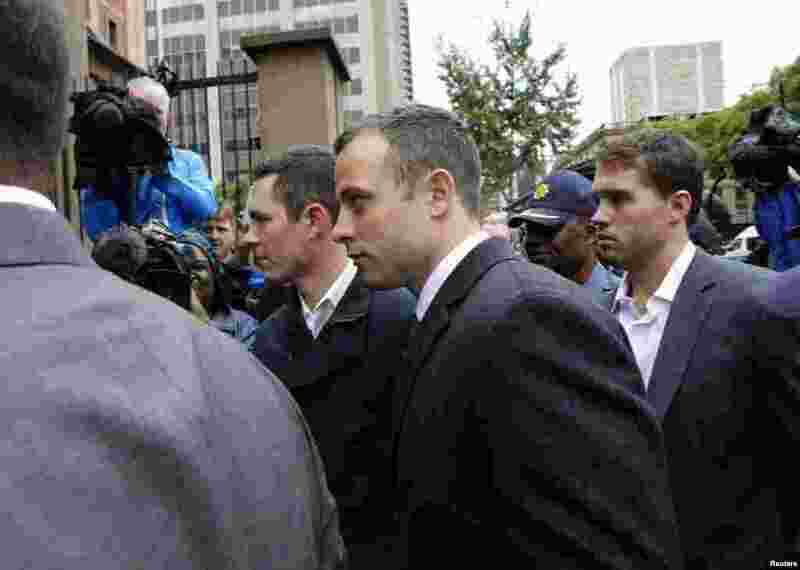 3 Oscar Pistorius is watched by June Steenkamp, right, the mother of Reeva Steenkamp, as he arrives for his trial at the high court in Pretoria, March 3, 2014. 4 June Steenkamp arrives at the High Court in Pretoria, March 3, 2014. 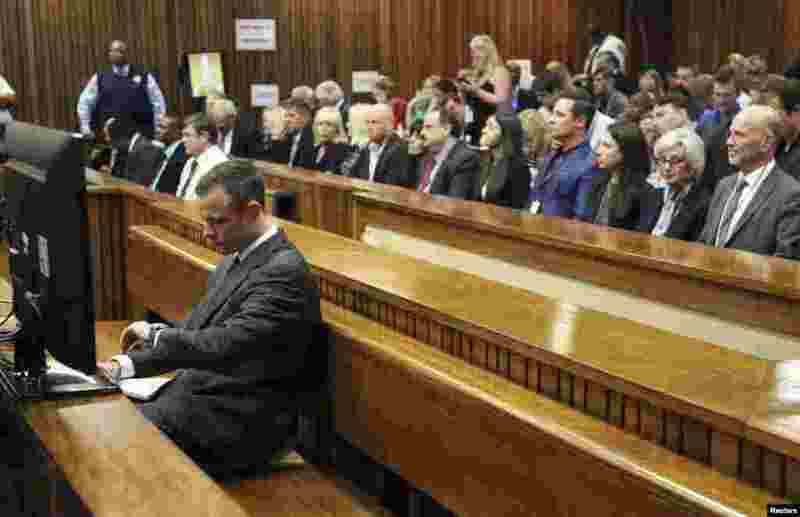 5 Oscar Pistorius looks at the time as he sits in court ahead of his trial at the North Gauteng High Court in Pretoria, March 3, 2014. 6 Oscar Pistorius pulls on his carbon fiber running blades at the University of Pretoria during his first track training session since the killing of Reeva Steenkamp, June 27, 2013. 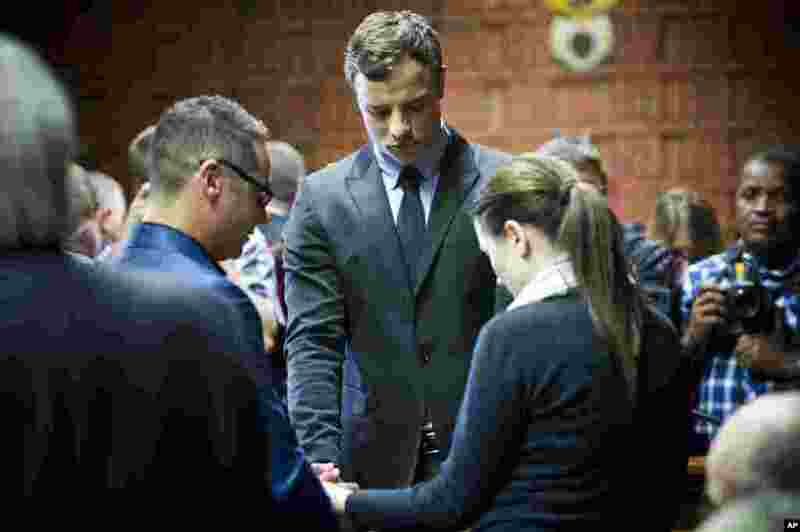 7 Oscar Pistorius cries as he prays with his sister Aimee and brother Carl at his indictment at the magistrates court in Pretoria, August 19, 2013. 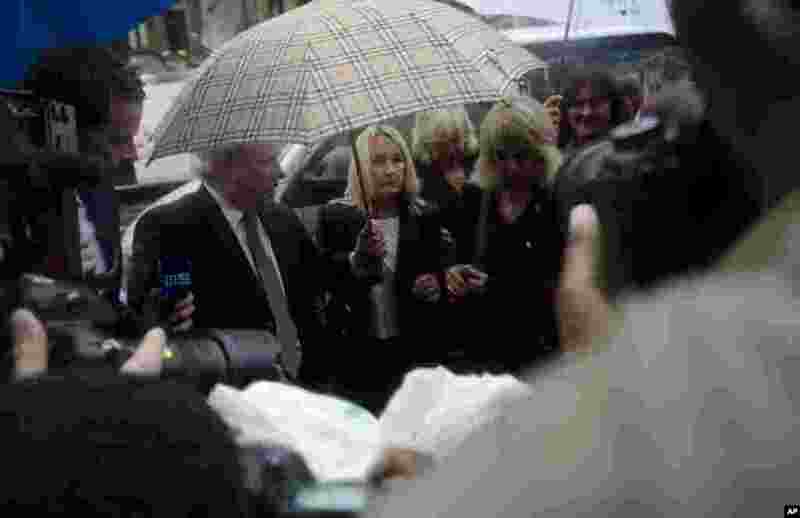 8 Oscar Pistorius is led from the Boschkop police station east of Pretoria on the way to court, Feb. 15, 2012. 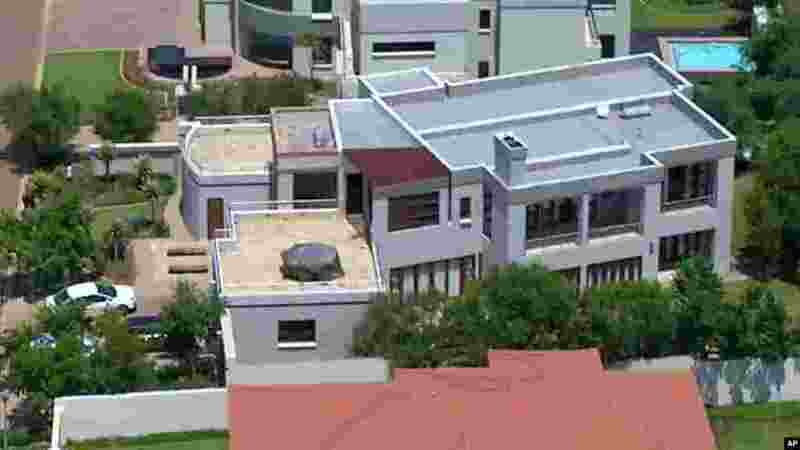 9 This aerial image taken from video provided by VNS24/7 shows the home of Oscar Pistorius in a gated housing complex in Pretoria, Feb. 14, 2013. 10 Olympian sprinter Oscar Pistorius posing next to his girlfriend Reeva Steenkamp at Melrose Arch in Johannesburg, Jan. 26, 2013. 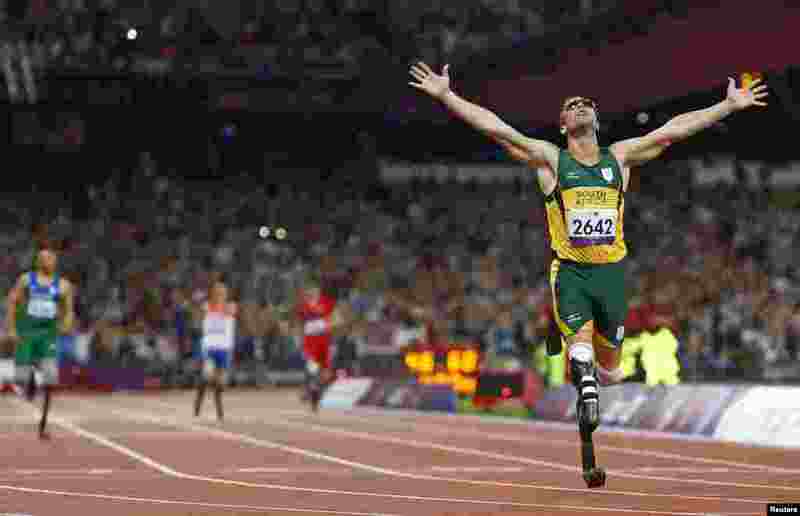 11 Oscar Pistorius celebrates winning the men's 400 meter final during the London 2012 Paralympic Games, Sept. 8, 2012.